In some organizations, Management may want to hide certain server local drives from being accessed by Citrix users. There are a few methods to do so, but in this post, we will be using GPP. Note that this step will only HIDE but not prevent users from acecssing to it. The configured drive will only be hide from WIndows Explorer. Thus, users still can access to the drive via Command prompt, Run command etc. 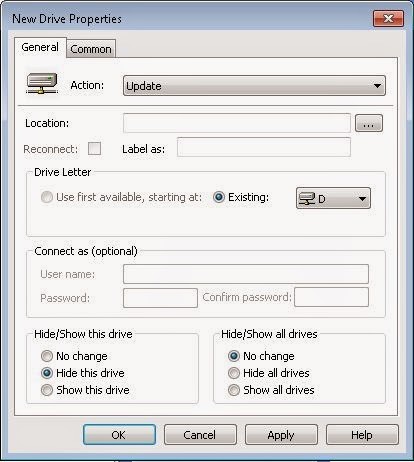 Hide certain drives from being accessed by users. 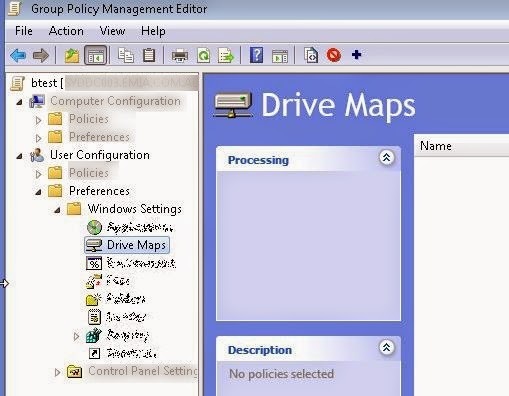 Launch Group Policy Management Console. 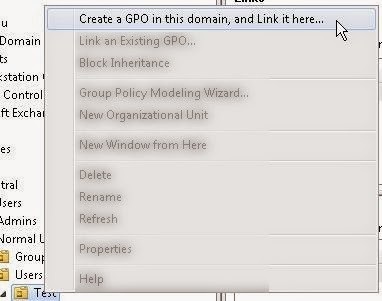 Depending on how your AD is structured, right click at the OU, and choose " Create a GPO in this domain, and Link it here... "
Give it a name, and press OK.
Then you can see the GPO created. Right click at the GPO, and choose Edit. So you can see the summary from here. We are all set. Get users to re-login, and D: drive is no longer can be seen. 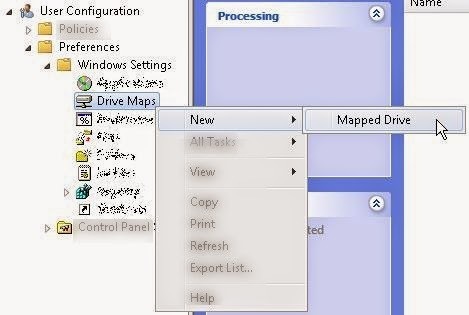 This step only to hide the drives, not totally block users from accessing them. 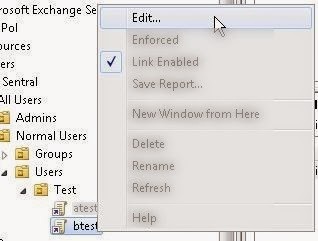 As this policy set at User Configuration, thus users need to re-login to get it reflected. GPP was initially only available on Server 2008 (and above) domain environment. You may need GPP Client Side Extension if your environment is still on Server 2003.